“Do you play volleyball?” I’m pretty sure that was the first question I was asked when I entered Putnam High School to begin my teaching career. At the time, I found this quite odd…no “Nice to meet you, welcome to the school.” Looking back on it, this was the perfect lead-in for long time secretary, Deb Pratt. Among other volunteer posts, Deb served as a Putnam Lion and was always the top fundraiser for the annual corporate volleyball tournament. She would shake people down around town to sponsor the day of athletic charity that led to major scholarship funds for local students. Deb had pieced together a team from the high school and was always looking for players to help bring home the trophy. In a few years playing, I remember the daunting nature of a twelve person roster mixed with the determined attitude of our fearless leader. You miss a dig: you’re out. You spike the ball out of bounds: you’re out. You’re too busy dancing and to even realize the other team already served: you are definitely out. We knew the woman who NEVER took any lip or excuses from students would not take any from us either. 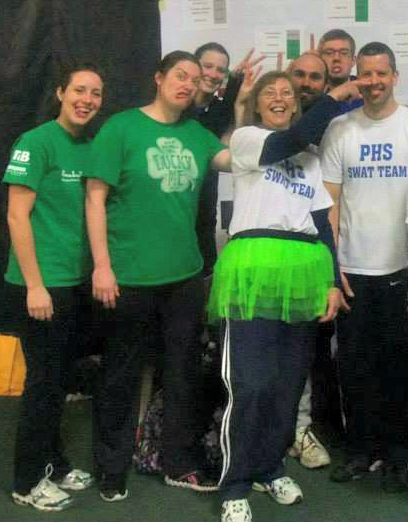 Coach Pratt enjoyed the 2013 tournament with her team of goofballs. There was, however, a quiet contentment in being led by someone with high standards and brutal honesty; we never had to question where we stood with her. Nor did we question the game day fashion sense. Donning a green tutu for the St. Patrick’s season tournament that also fell close to or on her birthday, I’ve never seen Deb happier than standing on the sideline talking with fellow Lions and drinking a mystery beverage with ice out of a colorful plastic cup. Even when I brought her a ridiculous flying pig pull-string hat to wear for her birthday that she definitely didn’t want to wear, her smile was ear to ear; this was her day. Not wanting to forget the pure joy I saw on her face and felt in her company, I didn’t address Deb as anything other than “Coach” for three full years. In that time, she dropped a lot of solid gold advice on me when I would talk about finding an apartment, love interests, or having no clue what I am doing in life. Her general advice always followed a few main principles. 1) Life is short. 2) Who cares what other people think? 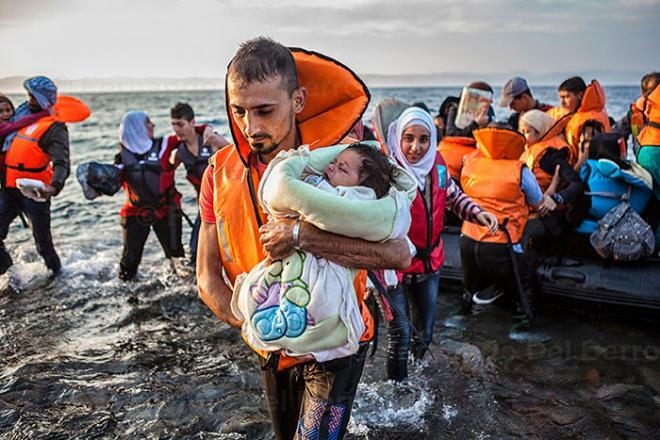 3) While life is short, there is always time to help others. When Deb passed away in August, we knew it was our duty to win that tournament for her. Sporting matching team shirts in Putnam-blue with a green outlined volleyball above her name, symbolic of her green St. Patty’s Day tutu, we took to the courts. Team Pratt played together with the determination and discipline that is to be expected from educators and at the end of the day, we honored our patron saint of volleyball with a dedicated victory. Deb, although you are gone, a solid group of individuals continue to preserve the legacy you so enthusiastically embodied in life. 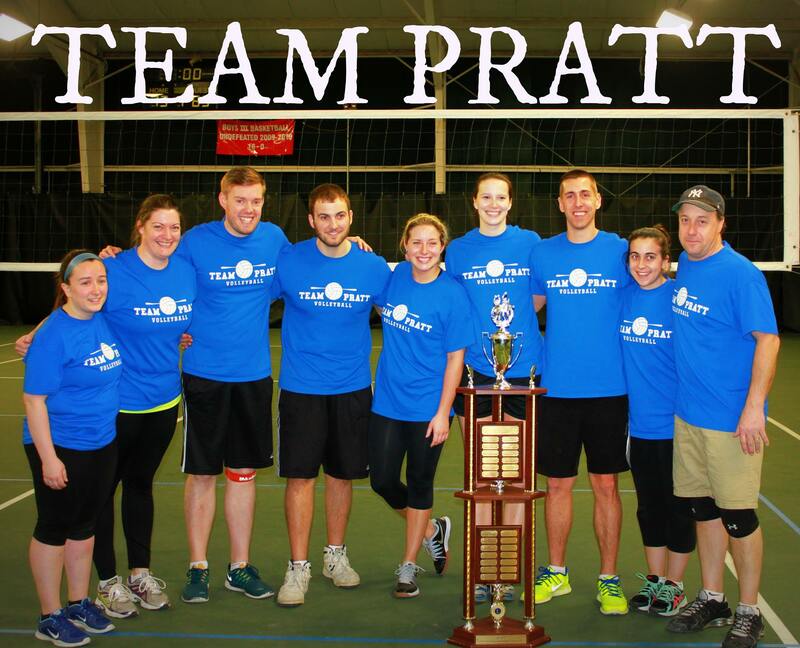 Team Pratt, 2015. Putnam Lion’s Club Volleyball Champions.